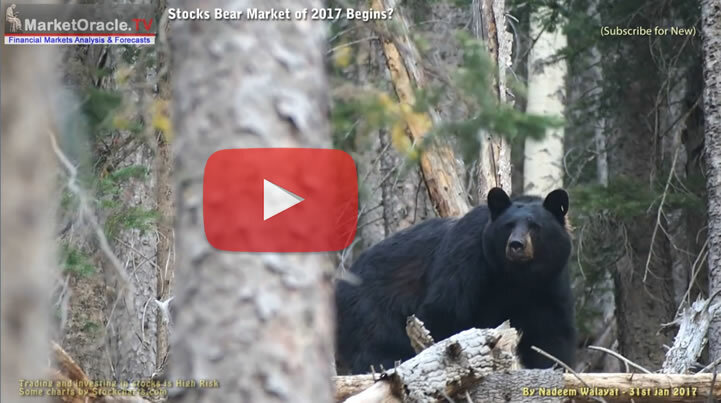 Trump Stocks Bear Market of 2017 Begins? Shorting the Dow at its Peak! 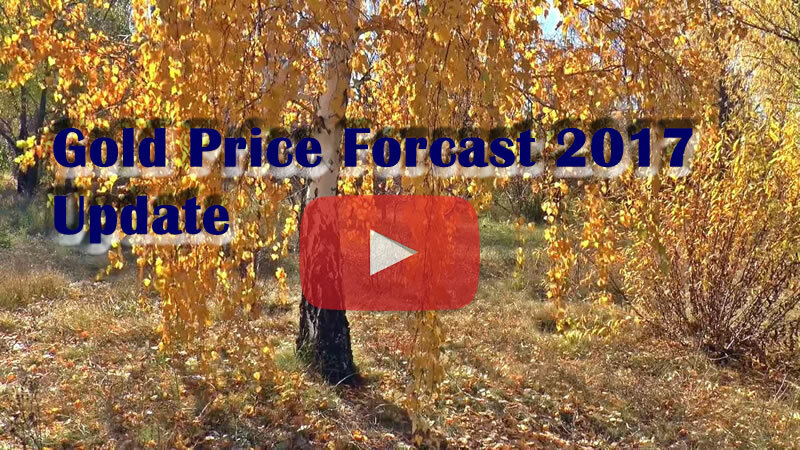 Hears a heads up of my most recent video analysis and more to keep you up to speed on where I stand in terms of the likes of the stock market in the wake of the ongoing consequences of the "Trump Reset" that remains my primary focus. Those who have followed my analysis will know that after having ridden the bull for nearly 8 years, that following the election of Trump and the resulting rally right to the very edge of Dow 20k, that I concluded early December that it was the time to start distributing stocks holdings accumulated during the life time of the of the bull market, specifically seeking to reduce my stocks portfolio holdings by at least 50% as the Trump Reset looked set to soon usher in a bleak period for stock prices for much of 2017. The gold price bottomed on the 15th of December 2016 at $1124.30 since which entered an uptrend that has taken the precious metal to a high of $1220, apparently catching many gold bugs asleep at the wheel, many of whom had publically thrown in the towel due to the failure of Gold to perform post Trump, but most recently have been busy scrambling to play catch up as the price homed on on $1200. Trump's pen has been busy signing off executive orders left, right and centre, from checking off the fossil fuel industries top 10 wish list, to authorising the start of construction of the "Trump Wall", to starting to implement a ban on muslims entering the United States from 7 nations, supposedly for reducing the risks of importing terrorism. Though the Alt-Facts President Trump chose to turn a blind eye to by far the greatest exporter of terrorist ideology, Saudi Arabia with it's wahabi puritanical ideology that petro-dollars has fuelled the export of since the 1970's. That and 15 of the 19 Sept 11th hijackers were Saudi's. But FACTS don't matter for America's Alt-Facts President for Trump cannot ban rich Saudi's as that will hit custom at his hotels and golf courses. 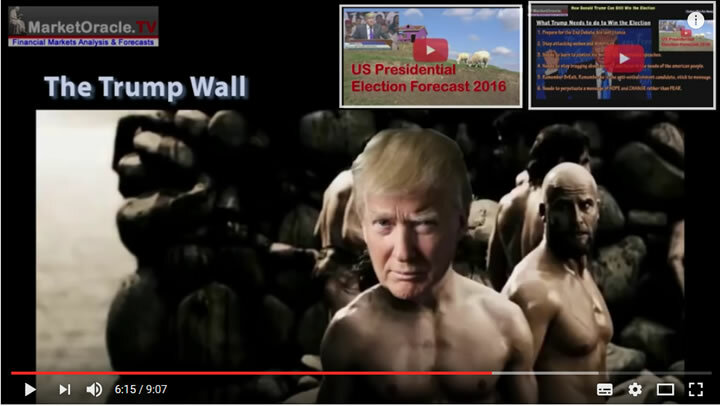 The 'Trump Wall' along the mexican border will cost between $12-$20 billion and take upto 3 years to build. So it was imperative for Trump to get the ball rolling early, eager to visit its construction and to see his name blazoned across it in huge golden letters. Alt Trump ban on virtually all muslims from entering the United States from 7 Islamic nations - Iraq, Iran, Libya, Somalia, Sudan, Syria and Yemen, most of which have been invaded, all of which have been liberally bombed and destroyed to various degree by the US military industrial complex thirst for wars. Of course Alt Trump is not governed by FACTS for Alt Trump likes Alt-Facts or what we would call lies, so he does not care that the Islamic worlds real source of terrorist ideology is Saudi Arabia, as it has for near 50 years exported its puritanical wahabi ideology across the Islamic world which coupled with the George Bushes disastrous war on Iraq were the catalysts for the likes of Islamic State (ISIS) to emerge. It definitely looks like Alt Trump took a look at the number of saudi members at his golf courses and their high occupancy rates at his hotels to ensure that all Saudi's will always be welcome in America. 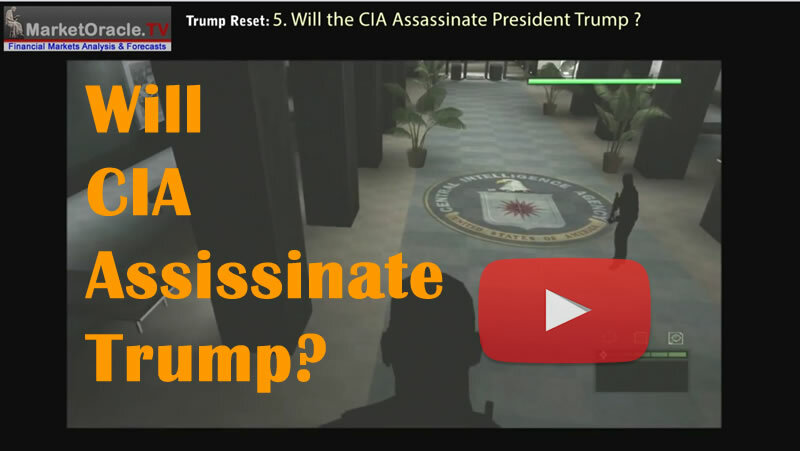 Meanwhile Trump continues to build bridges with the CIA, perhaps after having watched a re-run of one of the many JFK movies out there. And in Alt Trump fashion he has decided to out do the CIA by reopening the closed down secret rendition camps across eastern europe. Perhaps Czar Putin will offer to house some detainees in his gulags, perhaps not. Given that muslim UK passport holders are also banned from entry to the US then a new petition has sprung up seeking to cancel Trump's state visit to the UK summer 2017, that has also already passed 1,600,000 signatures and likely to pass the 2 million mark by the time you get around to reading this newsletter. 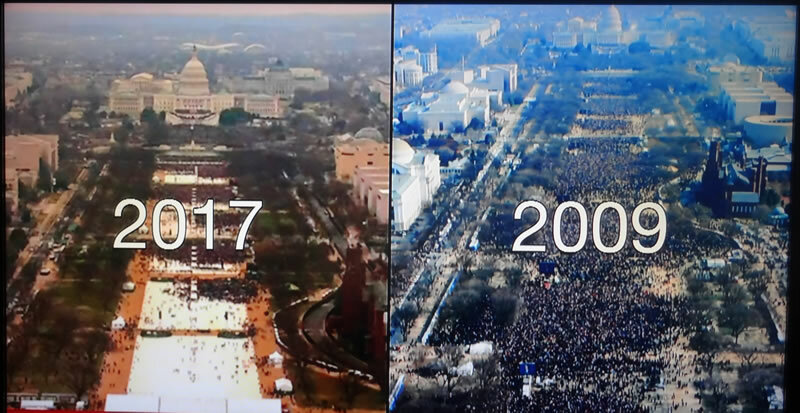 The Trump administrations focus remains on that which is most important to the Alt-Trump, the size of his inauguration crowd, which apparently according to Alt Trump was the largest inauguration crowd in history! 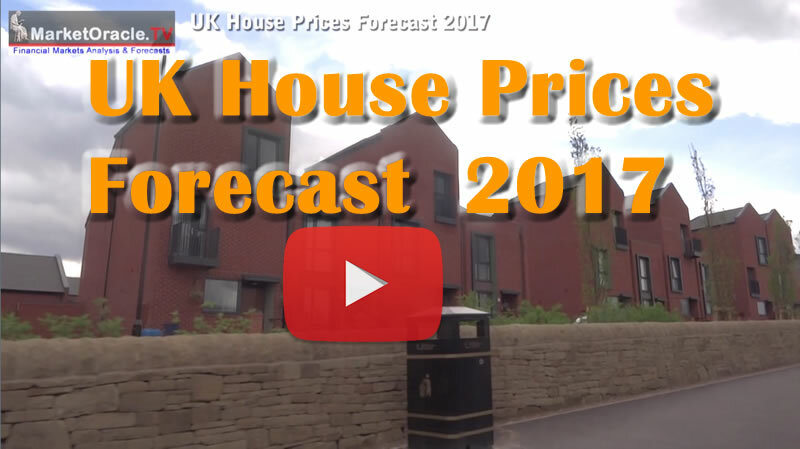 And finally a reminder of my expectations for UK house prices for 2017. The bottom line is that Alt-Trump is turning out to be exactly the 'Reset' button pressing President on that which has gone before for the past 40 years which my analysis led me to expect starting early December 2016. 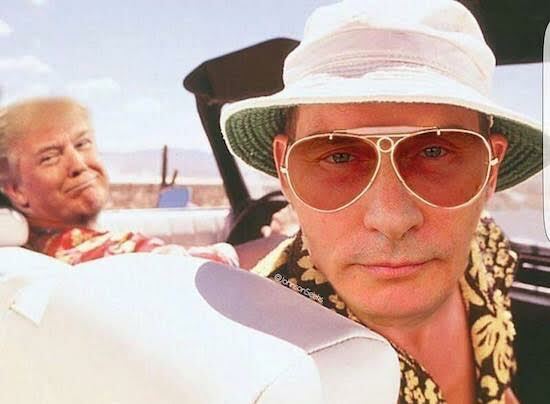 Which WILL present many opportunities to profit from as he makes the forecast trends become manifest over the coming months and years right up until the point he is removed from office. Thus the analysis in the Trump Reset series will for tell many profitable trends that will only become apparent to most with the benefit of hindsight. So do bare with me as I push through the Trumps delirium inducing smokescreen to reveal the most probable outcomes.